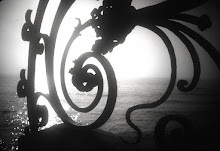 Seaview Terrace at Newport, Rhode Island. 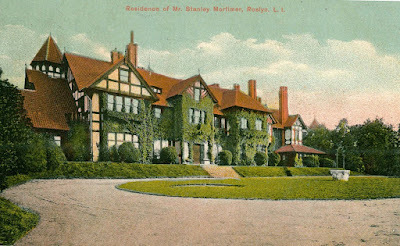 The Kernochan/ Bradley Mansion. 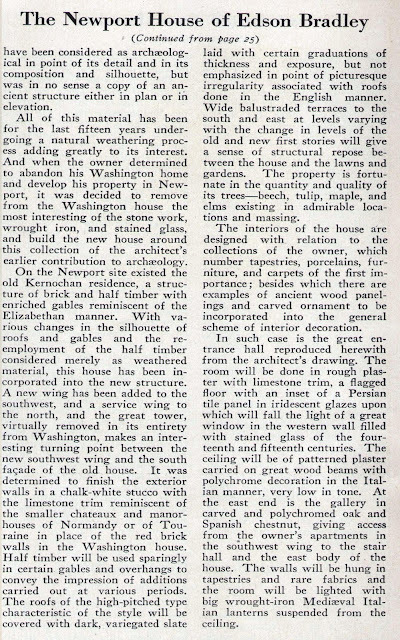 Here is a 1924 Arts & Decorations article about the Newport mansion of Edson Bradley called Seaview Terrace. 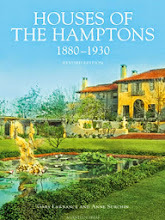 The house has one of the most interesting histories of all the Newport mansions. 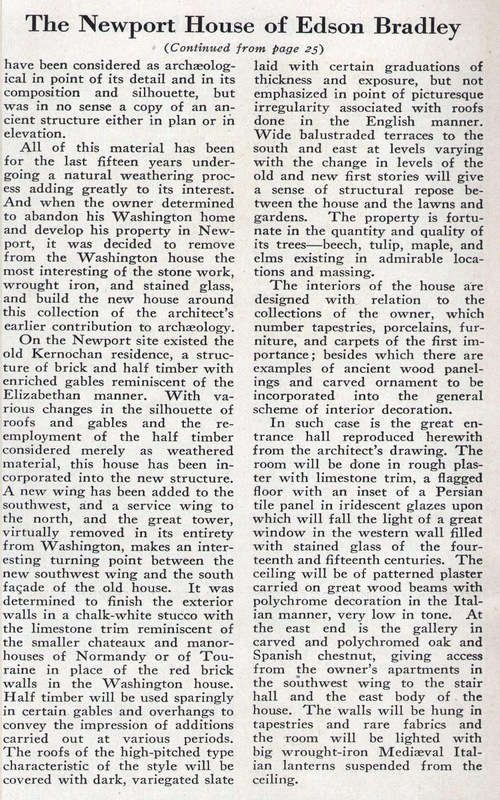 It started out as a much smaller summer cottage in the 1870s for James P. Kernochan and over the years the house was expanded and restyled, making it much grander. 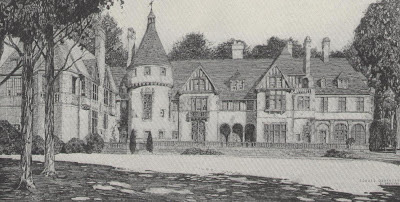 In 1922 the property was sold to Edson Bradley, who then hired architect, Howard Greenley to expand the house, making it one of the largest houses in Newport. 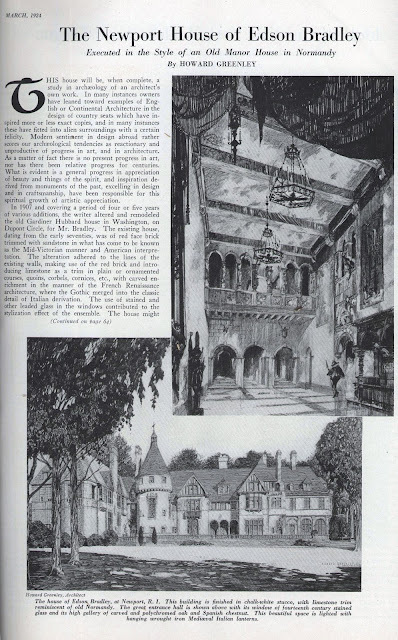 Mr. Bradley, also had a large house in Washington, D.C. and had the architect dismantle many of the interiors and architectural elements, from this house, especially the large tower, and moved them to Newport, where he incorporated them into the new design. 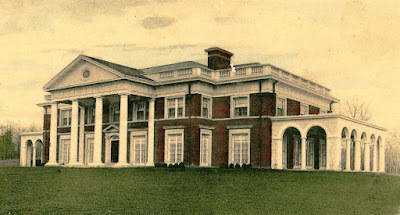 The house when done was a showplace for the Bradley's art and antiques and remained one the most impressive houses in Newport for many years. 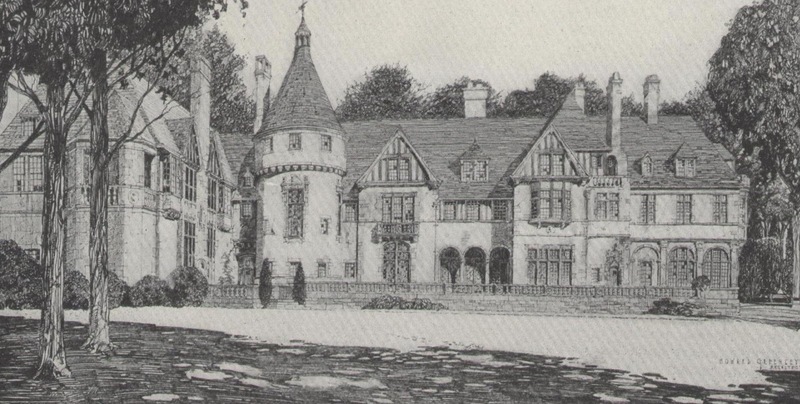 The Bradley family left the house in the 1940s and has changed owners numerous times, until eventually being bought by the Martin Carey family in the 1970s. 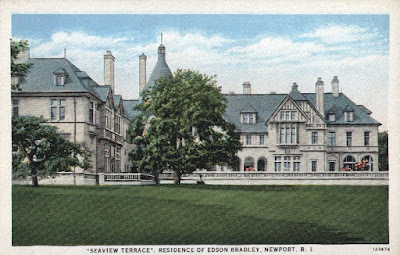 The Carey family leased Seaview Terrace for many years to Salve Regina College until recently. 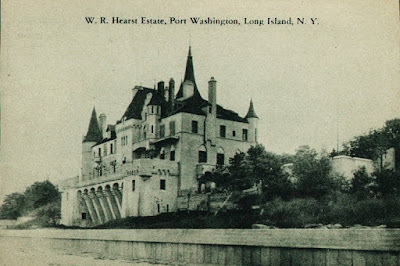 It is still privately owned by the Carey family. Many fans of the 1960's Gothic Soap Opera, " Dark Shadows", might recognize Seaview Terrace as the Collin's family home, Collinwood. The soap opera was filmed in New York using sets for the interior, which do not match anything in Seaview Terrace, but the exterior of the house was used in the opening everyday and some promotional shots were used of the exteriors. In 1975 the x-rated movie, The Story of Joanna, directed by Gerard Damiano, was filmed at Seaview Terrace along with the F.W. 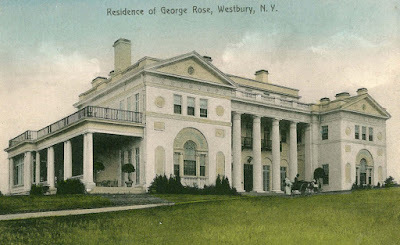 Woolworth mansion in Glen Cove, New York. Below are some links to photographs and other stories complied from the internet. Pornographic movie is filmed at mansion here. Readers please feel free to add additional links in the comments section. Hello: How does one enlarge the first page of the "House of Edson Bradley" article in order to read it When I click on it a black screen comes up with a mini-postage stamp sized image, and when I click on that nothing happens ! I think you have to use the enlarge button, or zoom? Hope this helps. Let me know? Hello, again ! "enlarge button, or zoom" ? I'm new at this. Where is the enlarge button, or how do I zoom ? I think you can also save the image to your computer and then enlarge it in any photo program to read. Just keep clicking on things, everybody's computer has different ways, but will be glad to help.Do you have a facebook account. If you do I have a great group there, and people often help each out , with these kinds of things. Thank you, Mr. Lawrance ! I managed to save the image and then enlarged it to about 130%. It blurrs the writing somewhat but is readable now. Thanks for the tip ! No, I'm not into Facebook. Like I said, I'm new at this. Thanks again. I've always right clicked on the image and open in new window.